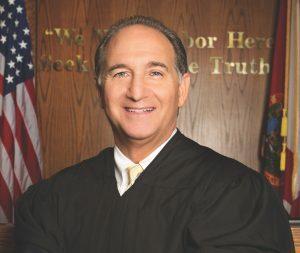 From 2007 – 2010, Miami-Dade County Judge Steve Leifman served as Special Advisor on Criminal Justice and Mental Health for the Supreme Court of Florida. In this capacity, Judge Leifman was responsible for chairing the Court’s Mental Health Subcommittee, which authored a ground-breaking report entitled, Transforming Florida’s Mental Health System. This report outlines recommendations with the goal of decreasing inappropriate and costly involvement of people with mental illnesses in the justice system. Since October 2010 Judge Leifman has chaired the Florida Supreme Court’s Task Force on Substance Abuse and Mental Health Issues in the Court. Due to his expertise in the areas of criminal justice and mental health, Judge Leifman has been appointed to serve in a variety of capacities on local, state, and national bodies, including Co-Chair of the Council of State Governments/TAPA Center for Jail Diversion Judges’ Criminal Justice/Mental Health Leadership Initiative, Co-Chair of the Miami-Dade County Mayor’s Mental Health Task Force, Board of Directors of the American Psychiatric Association Foundation, Board of Directors of the Corporation for Supportive Housing, member of the National Leadership Forum for Behavioral Health and Criminal Justice Services, member of the American Bar Association Task Force on Criminal Justice Mental Health Standards, Co-Chair of the American Bar Association Criminal Justice Mental Health Committee, Co-Chair of the Florida Bar Special Committee on Mental Health and a Voluntary Assistant Professor of Psychiatry and Behavioral Sciences at the University of Miami School of Medicine. In addition, Judge Leifman serves as Chair of the South Florida Behavioral Health Network and Finance Chair of the Miami-Dade Homeless Trust. In recognition of his tireless efforts, Judge Leifman has received numerous awards including; the 2015 William H. Rehnquist Award for Judicial Excellence. One of the nation’s highest judicial honors, the Rehnquist Award is presented annually to a state court judge who exemplifies judicial excellence, integrity, fairness, and professional ethics. Chief Justice of the United States John G. Roberts Jr. presented the award to Judge Leifman during a ceremony at the U.S. Supreme Court in Washington, D.C. on November 19, 2015. Judge Leifman is also the first recipient to receive the Florida Supreme Court Chief Justice Award for Judicial Excellence (2015). Presented by the Chief Justice of the Florida Supreme Court, this prestigious award honors a state trial court judges who exemplify judicial excellence, including strength of character, integrity, fairness, open-mindedness, knowledge of the law, sound judgment, professional ethics, intellectual courage, compassion, and decisiveness. More recently, Judge Leifman was named by New Times as one of Miami-Dade’s most interesting people of 2017 and he was named a 2016 Governing Magazine Public Official of the year. One of eight honorees, the award recognizes governmental leaders who exemplify the ideals of public service. In addition, Judge Leifman received the 2017 Legal Services of Miami Equal Justice Judicial Leadership Award and was the first recipient of the 2016 Group for the Advancement of Psychiatry (GAP) “Dear Abby Award,” the 2016 Greater Miami Chamber of Commerce Henry M. Flagler Community Builder Award, the 2016 Spanish American League Against Discrimination “Sense of Community Award,” a 2014 American Psychiatric Association Presidential Commendation, the 2014 Spero Award from Weill Cornell Medical College, the Dade County Bar Association 2014 Justice Louis Brandeis Award, the 2014 Lawyers To The Rescue Humanitarian Award, the Dade County Bar Association 2013 Criminal Justice Award, the Brain & Behavior Research Foundation 2012 Productive Lives Award, the Society of Biological Psychiatry 2012 Humanitarian Award. 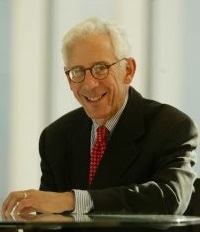 Judge Leifman has also been featured in many national and local television programs, radio programs and articles regarding mental health and the criminal justice system including, The New England Journal of Medicine, the Atlantic Magazine, CBS News, USA Today, CNN: Anderson Cooper Special Report, CNN: Special Investigations Unit: The Criminally Insane, NBC Nightly News, PBS: Minds on the Edge, Facing Mental Illness, NPR: All Things Considered, New York Times, Washington Post, Wall Street Journal; Governing Magazine, the Samantha Bee Show on TBS, CBS4: The Forgotten Floor, WPLG- TV10: This Week in South Florida, WPBT2 South Florida PBS, Miami Herald and Miami Today. He has also authored and published numerous articles and book chapters on mental illnesses and the criminal justice system. Dror Ben-Zeev, Ph.D. Alan I. Green, M.D. Sohee Park, Ph.D.
My Smartphone Can Do What?! Dror Ben-Zeev, PhD, is a Professor of Psychiatry and Behavioral Sciences at the University of Washington and licensed Clinical Psychologist who specializes in development and evaluation of technology-based approaches in the study, assessment, treatment, and prevention of mental illness. Dr. Ben-Zeev serves as the Co-Director of UW's Behavioral Research in Technology and Engineering (BRiTE) Center (https://www.brite.uw.edu/) and Director of the mHealth for Mental Health Program (www.mh4mh.org), a multidisciplinary effort to harness mobile technology to improve the outcomes and support the recovery of people with psychiatric conditions. His innovative digital health work includes development of illness self-management apps for people with schizophrenia, leveraging mobile and context-aware technologies for assessment of violence and suicidality in psychiatric hospital settings, behavioral sensing and modelling systems for detection of psychotic relapses, social media-based outreach and remote data collection involving people who experience auditory hallucinations, and clinical texting interventions for individuals with dual diagnosis in community settings. Dr. Ben-Zeev’s research has been supported by grants and awards from the National Institutes of Health (NIH) National Science Foundation (NSF) Center for Medicare and Medicaid Innovation (CMMI) Patient Centered Outcomes Research Institute (PCORI), SYNERGY Clinical and Translational Science Institute, Myrtlewood Foundation, Pivotal Ventures, VA Health Services Research & Development (HSR&D), and John Sloan Dickey Center for International Understanding. 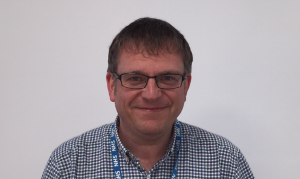 He has published editorials and commentaries on the use of technology-based interventions in Psychiatric Services, Nature Human Behaviour, the BMJ, and the New York Times. Ben-Zeev’s research has been covered by National Public Radio, Nature, Wired Magazine, Slate, and The Economist. He serves as the Inaugural Editor of the "Technology in Mental Health" Column for Psychiatric Services (APA journal). Dr. Ben-Zeev publishes extensively in scientific journals and is a regular speaker at national and international scientific meetings including invited presentations at the National Institute of Mental Health Director’s Innovation Speaker series, the National Academy of Sciences, and the White House. Alan I. Green graduated from Columbia College in New York City and received his medical degree from the Johns Hopkins University School of Medicine, where he worked in Solomon H. Snyder’s laboratory on neurotransmitter uptake in rat brain. Following an internship in medicine at the Beth Israel Hospital in Boston, he went to the National Institute of Mental Health as a research fellow, working in the laboratory of Erminio Costa on the high-affinity choline uptake system. He then became Director of Biomedical Research in the Special Action Office for Drug Abuse Prevention of the Executive Office of the President, before returning to Boston to begin a residency in psychiatry at the Massachusetts Mental Health Center and a fellowship in clinical research at Harvard. 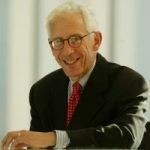 Joining the Harvard faculty, he became Director of the Commonwealth Research Center of Harvard Medical School and developed his translational research focus on the neurobiological basis of schizophrenia and co-occurring substance use disorder. He left Harvard in 2002 to become Raymond Sobel Professor and Chair of Psychiatry at Dartmouth Medical School. He continues as Professor and Chair of Psychiatry at Dartmouth, where he is also Professor of Molecular and Systems Biology, and Director of The Dartmouth Clinical and Translational Science Institute. He has been continuously funded by the NIH for 25 years and has published over 300 articles, chapters, and abstracts. His animal and human translational research program has focused on dysfunctional brain reward circuitry as a basis of substance use in patients with schizophrenia and on the development of new treatments that may ameliorate that dysfunctional circuitry and limit substance use in patients with schizophrenia. 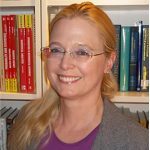 As a psychologist and a neuroscientist with a multicultural perspective, the ultimate goal of my work is to specify core components of behaviors that constitute psychosis, and to implement targeted, non-invasive interventions to improve the quality of life in individuals with psychotic conditions and their families. Over the past two decades, my lab has studied mechanisms that underlie anomalous cognitive, affective, and social behavior in the psychosis-spectrum conditions to enhance identification of endophenotypic markers for psychosis. Our early work uncovered the central importance of working memory impairments in all aspects of schizophrenia from premorbid to chronic stages. More recently, we have focused on parsing the social brain network in schizophrenia to identify the loci of problems that can be targeted for treatment. The complexities inherent in this work necessitate translational and interdisciplinary approaches and a dynamic network of collaborative teams that include clinicians and engineers. We utilize diverse techniques and methods from cognitive psychology, social psychology, neuroimaging (fMRI, near-infrared spectroscopy, EEG), brain stimulation (transcranial direct current stimulation, deep brain stimulation), and physiology-based virtual reality technology. I received a BA (Natural Sciences Tripos) from University of Cambridge, and a Ph.D. (Psychology) from Harvard University. After completing a post-doctoral fellowship at the University Hospital of Zürich in Switzerland, I returned to America to build my Clinical Neuroscience Laboratory, first at Northwestern University, and later at Vanderbilt University where I hold the Gertrude Conaway Vanderbilt Chair of Psychology. I have held visiting fellowships and faculty positions in Europe and Asia, and worked diligently to maintain networks of collaborations across the USA, Asia, Europe, and Australia. I currently serve on the editorial boards of Schizophrenia Research, Schizophrenia Bulletin, and Psychiatry Investigation, and chair the Early Career Award committee for the Society for Research on Psychopathology. In the past, I have served on the editorial boards of Psychological Science, Journal of Abnormal Psychology, and the Journal of Experimental Psychology: General. For SIRS and ICOSR, I have worked for the education and program committees, and mentorship programs. Kristen Brennand, Ph.D. Deanna Kelly, Pharm.D., BCPP Jessica Turner, Ph.D.
Kristen Brennand, Ph.D. is co-Director of the Pamela Sklar Division of Psychiatric Genomics, and Associate Professor of Genetics and Genomics, Neuroscience and Psychiatry at the Icahn School of Medicine at Mount Sinai, in New York, New York. She trained in developmental and stem cell biology at Harvard University and in neurobiology during postdoctoral at the Salk Institute for Biological Studies. By combining expertise in stem cell biology and neurobiology, she has pioneered a new approach by which to study psychiatric disease. Dr. Brennand’s work is funded by the National Institutes of Health, the New York Stem Cell Foundation, the Brain Research Foundation, and the Brain and Behavior Research Foundation. Deanna L. Kelly, Pharm.D., BCPP is Professor of Psychiatry at University of Maryland Baltimore School of Medicine and Affiliate Professor in the School of Pharmacy. She is currently Director and Chief of the Treatment Research Program at the Maryland Psychiatric Research Center(MPRC). 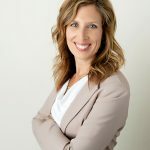 Dr. Kelly received her Bachelor of Science and Doctorate in Pharmacy at Duquesne University in Pittsburgh, PA. She completed residency training in psychiatric pharmacy practice at the University of Maryland in 1997 and became board certified in psychiatric pharmacy practice in 1998. 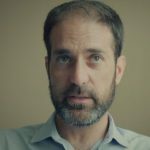 Dr. Kelly has led and been involved in numerous clinical trials in schizophrenia and severe mental illness and has been active in psychopharmacology research for the past 21years. She has been continuously funded by NIMH, NIDA, and private foundations such as the Stanley Medical Research Institute and the Maryland Innovation Initiative for over 18 years. Dr. Kelly has coauthored and authored 19 books and book chapters, published over 180 peer-reviewed articles, presented over 240 posters and has given over 150 invited lectures. 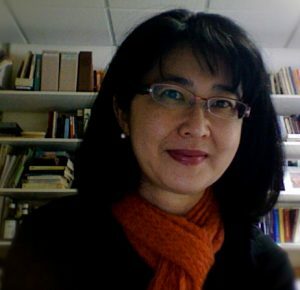 She has coauthored four editions of the book entitled “Pharmacologic Treatment of Schizophrenia.” She also authors the Schizophrenia chapter for “Pharmacotherapy, Principles and Practice.” This medical textbook used by many schools of pharmacy and nursing and won the 2010 Distinguished Medical Book Healthcare Professionals Award from the American Medical Writers Association. She also serves as a founding and current Associate Editor for Clinical Schizophrenia and Related Psychoses. Jessica A. Turner, Ph.D. is a cognitive neuroscientist working in imaging and imaging genetics of psychosis. 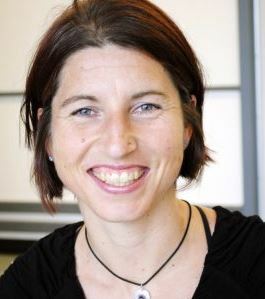 She co-chairs the ENIGMA SZ working group with Dr. Theo van Erp and is an associate professor of psychology and neuroscience at Georgia State University. 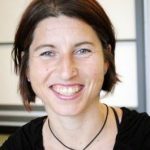 Dr. Turner is an active participant within ENIGMA across its genetic, disease, and methodology working groups, as well as a contributing investigator to the genetics of brain structure and the large-scale neuroinformatic efforts needed for ongoing data sharing and re-use across disorders. 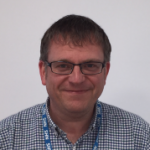 Anthony Morrison, D Clin Psy, is the Professor of Clinical Psychology at the University of Manchester and also Director of the Psychosis Research Unit at Greater Manchester Mental Health Foundation Trust. He has published widely on cognitive therapy for psychosis with over 150 articles on cognitive therapy for psychosis and experimental studies of cognitive processes in psychosis, including an influential cognitive model of psychosis, and has conducted several treatment trials of cognitive therapy for psychosis. He has recently been a member of 2 NICE guideline development groups.